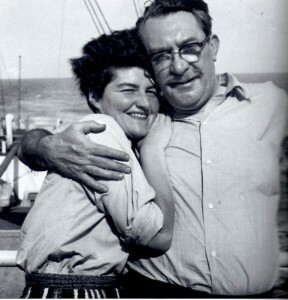 More than 60 years ago, Nancy Spain and Gilbert Harding, two of that era’s most famous British TV and radio personalities, unwittingly found themselves at the centre of a celebrity gossip story that had the tabloids vying with each other in a feeding frenzy more befitting of contemporary media. And their names became inextricably linked. Gilbert Harding was a guilt-ridden and unhappy gay man who loathed his fame. Nancy Spain was at ease with her sexuality and her celebrity status. And yet they cared deeply for each other, despite their differences. But the irony was that these two famous public figures, known for their unflinching outspokenness, both harboured whopping great secrets in their private lives that could have destroyed their careers overnight. The play takes as its starting point a boat journey to Jamaica, but its route leads to it exploring other themes: the nature of celebrity ­— how it’s changed and how it hasn’t. The risks faced by famous gay personalities in those pre-liberation days — especially men, who faced ruin and imprisonment if their sexuality became known to the public. And how the truth could be hidden ‘in plain sight’, if you were part of ‘The Establishment’. Most importantly, it is a rare portrayal and celebration of the friendship between a gay man and a gay woman. Not Wanted On Voyage was funded by Grants for the Arts, supported by the Arts Council England and the Peggy Ramsay Foundation. Collaborative partners for the project included Shelley Silas, Kinny Gardner, Thea Bennett, Keith Drinkel, the Marlborough Theatre (Brighton), Bread and Roses Theatre (London) and the youth-led Sussex young people’s organisation, Blueprint 22. 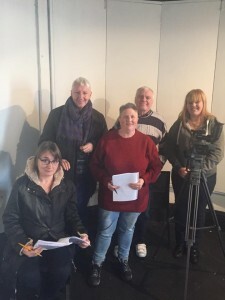 The Research & Development project culminated in two ‘script-in-hand’ performances in February 2015 at the Marlborough Theatre and Bread & Roses Theatre, to which industry professionals and other interested groups and individuals were invited. Both shows attracted near-capacity audiences, including representatives from companies, venues and the media − and, most importantly, members of Blueprint 22, for whom theatre-going was a new cultural experience.